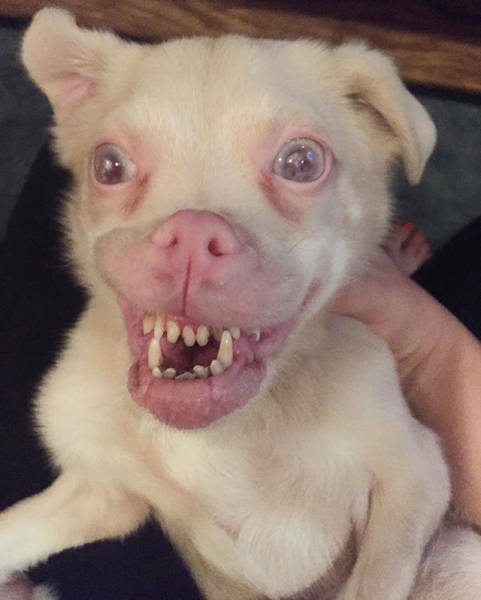 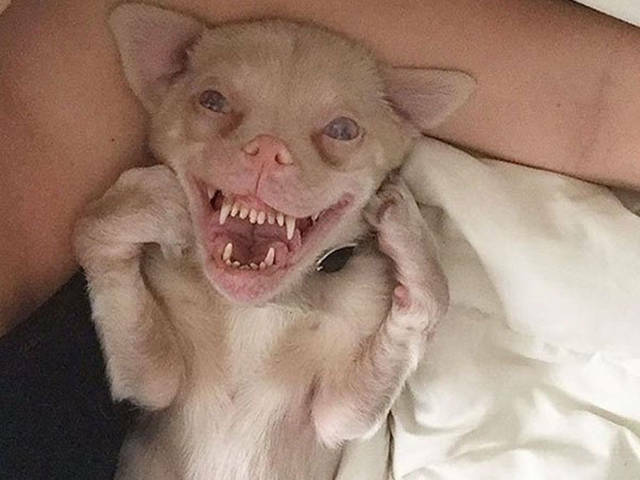 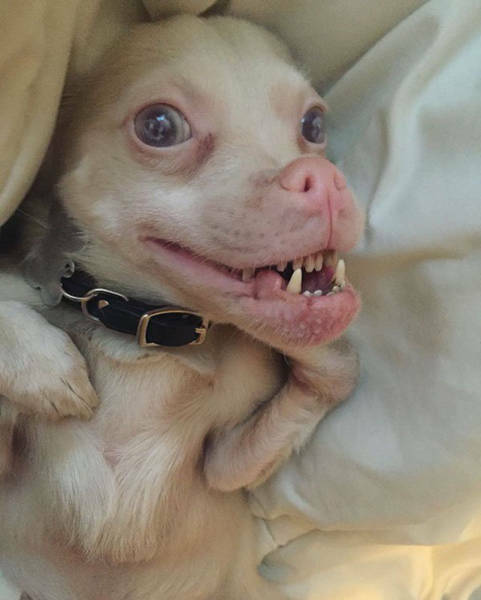 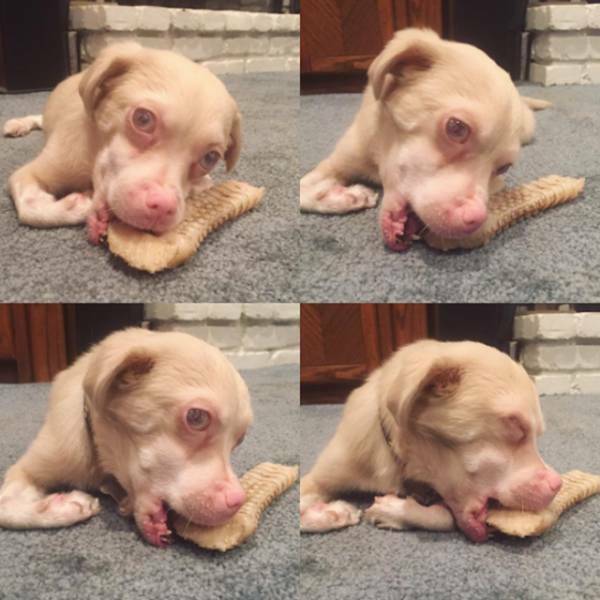 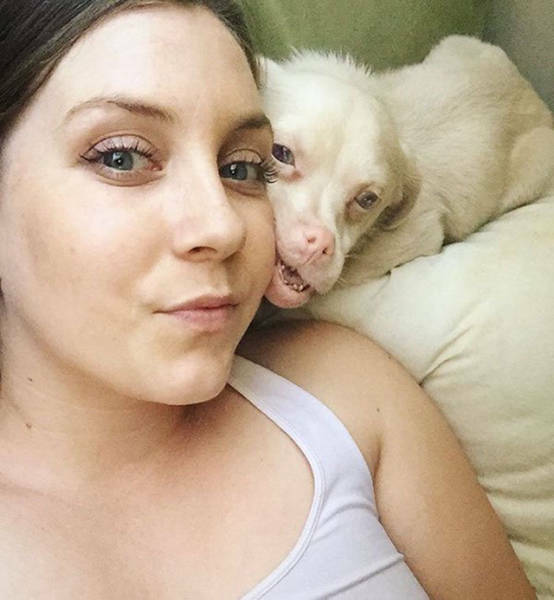 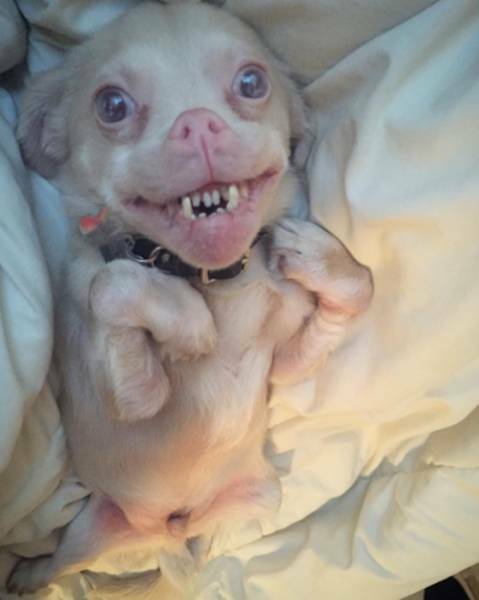 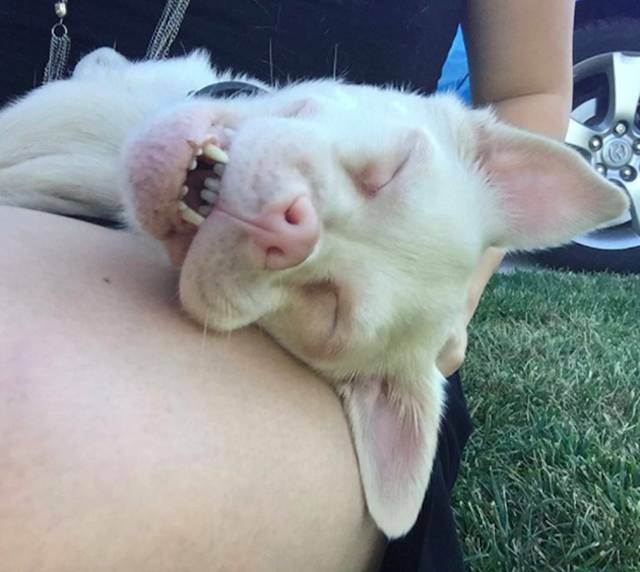 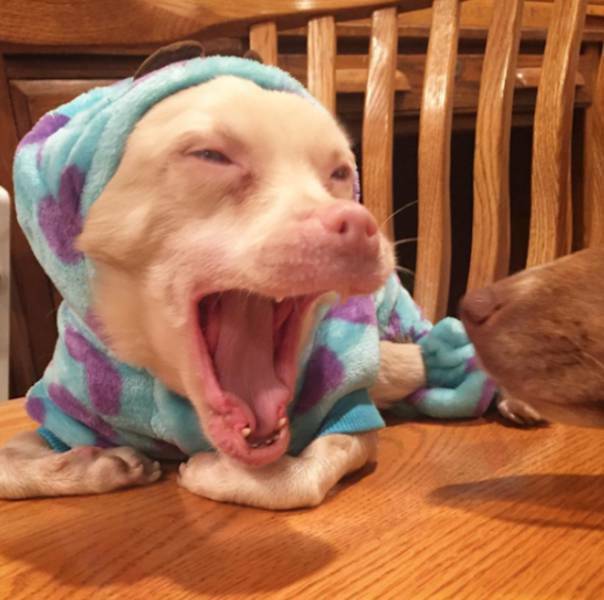 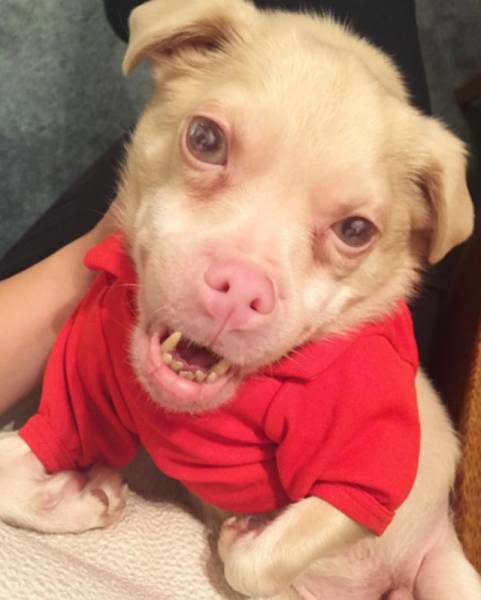 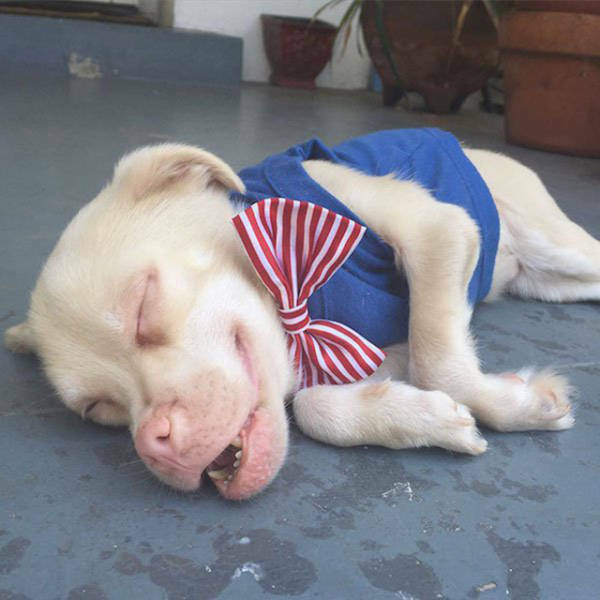 This albino Chihuahua-miniature Pinscher is called Tucker and has MPS VI disease (mucopolysaccharidoses), which causes deformities and a lot of other medical issues. 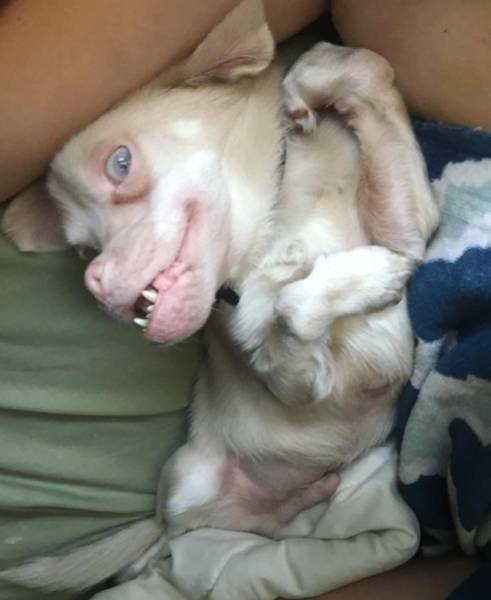 He can’t use his front legs, he should wear protective goggles because of his eye sight and his face resembles the one of a bat. 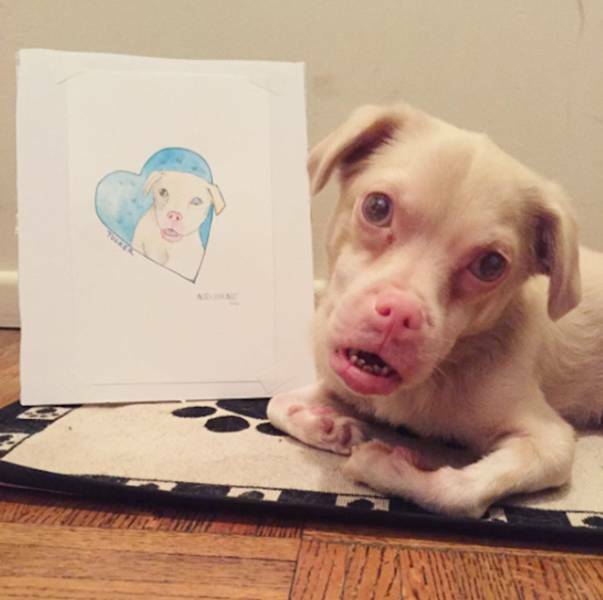 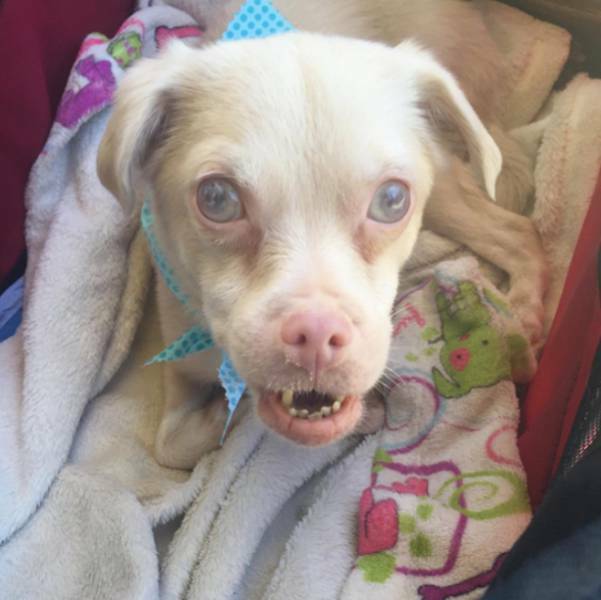 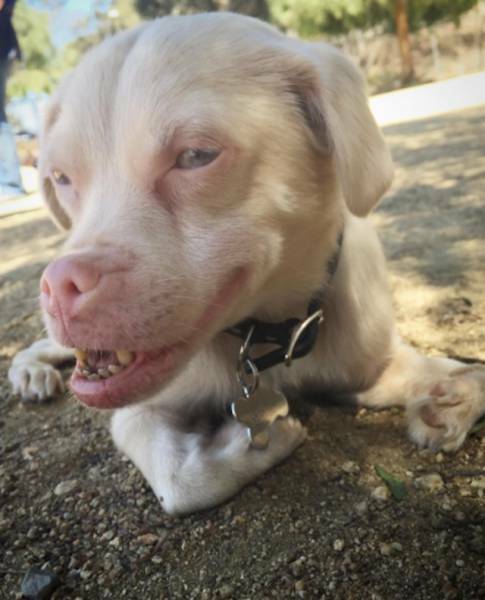 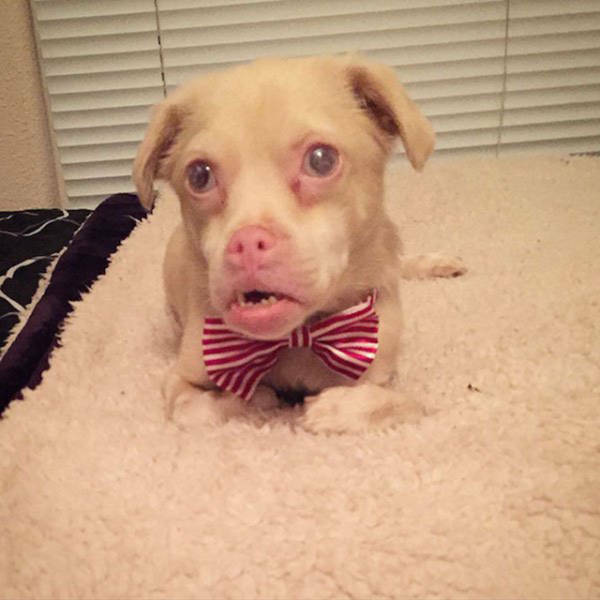 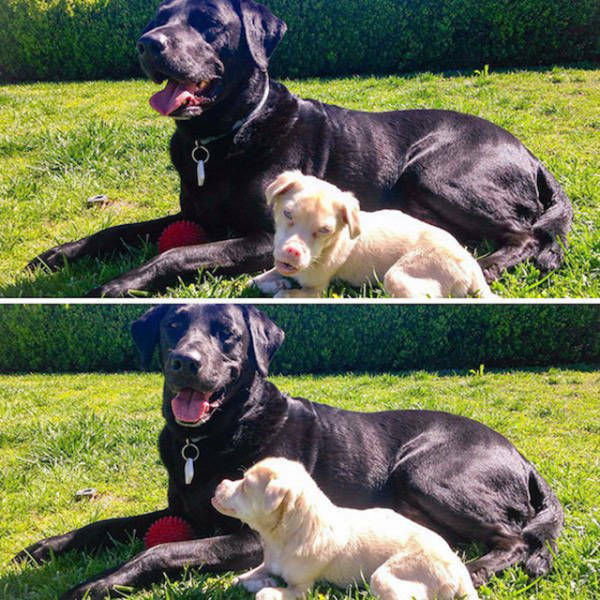 Tucker is a rescue pup and lives with his owner in Los Angeles. 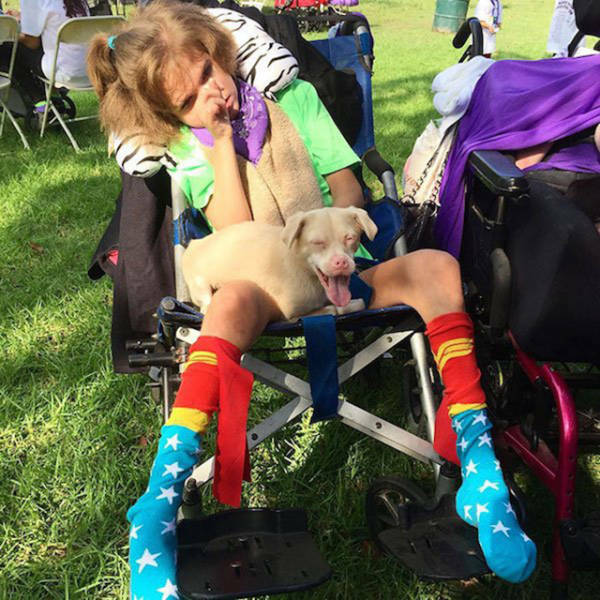 He’s also a “medical dog,” he works with people who have health problems as well by boosting their energy and showing that it is possible to make the most of your life even with those physical limitations.